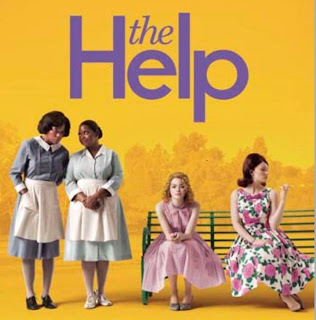 Recently, I watched the movie, The Help (based on the novel by Kathryn Stockett), with SRBraddy (an often time muse and performer/blogger-friend). He wrote about our mutual confusion regarding if we should be offended by the steroetypes or embrace that these characterizations are actualities, not prejudices. I can't stand it when people get upset and take offense about stereotypes when they are actually neutral fact. I had a participant in one of my events call in upset because we were cruel and insensitive. Wanna know what bugged her? That the presentation mentioned people from the south often talk a little bit slower with their southern drawls. I hate to sound insensitive, but...really?! Most people from the south have a southern drawl, how is that meant to be mean in any way? I don't get mad and yell about insensitivity and discrimination when someone says, "Short people can't reach the top shelf." These are just facts. People are different. Too many people look for insult. Have you been to the south? I've been many times. I've had many southern roommates. Half of my family lives in the south. And if you try to pretend that most people there don't have a drawl or a deep and abiding love for fried chicken, well, you'd be crazy. It's just fact. One point SRBraddy and I did view entirely differently was the scene where the maid, Minny, *spoiler alert* busts down a door to find Celia, her employer, crying on the floor of the bathroom covered in blood. He viewed this strong-willed, door-busting as a stereotypical thing for this maid to do and began to laugh until he realized what was going on. I don't remember anyone in the theater laughing, but maybe I was too into the movie because I knew where the storyline was headed. A woman, who is pregnant, crying in the bathroom and refusing to let anyone in? Yeah...can't be good news. I actually felt that scene was very indicative of a character change for this maid. She hated her work and her employers and, although defiant, typically did as she was told. Although, each time she strayed from that, she was fired. This time, she defied that because she actually cared about this woman - so much so that she was willing to damage the house and disobey her orders, risking her job to make sure that Celia was okay. And then she stayed there with her. I thought this character development was a huge defiance of stereotype, not a typification of one. Despite the cliche's and all that - you have to see this movie! The characters are a little intentionally emotionally manipulative, like a spoon-fed, 5-course meal of "here is what you are supposed to feel," but you must see this movie. And quit looking to be offended because, I repeat, you will always find what you are looking for. Perhaps look to give people the benefit of the doubt more often. I could almost guarantee that nine times out of ten they did not mean it the way you think they did. Just remember: You is kind, you is smart, you is important. The best thing, that makes ME laugh, is that YOU, of all people, didn't see where that scene was headed. :) We're all on the same wavelength this week I guess. I can't wait to go see The Help, fyi! @Ru - after Stephen's blog and your blog, I decided I might as well just jump on the bandwagon and post my thoughts and BOY did that come out fast:-) I hope you enjoy the movie! I loved the book. Have you read it? It's seriously the best. I can't wait to see the movie when I get back from Scotland. I think the book describes the scene you described a differently. Minnie doesn't always do what she is told, that's one of her biggest flaws and why she has a hard time keeping her job. She distances herself from her employer and likes to an extent the lines that were drawn between the help and the mistress, refusing to eat in the dining room with Celia, etc. It was during this crisis that she realizes that she does care for Celia a little bit, and breaches her own boundaries, not the rules of the house. Right. I'm sorry that came off wrong. I meant it is a scene that signifies a huge change of HER character, not of her obeying/disobeying rules. I don't think "offense" is the word, but I rolled my eyes that people referred to Skeeter's curly hair was so unattractive and needing to be fixed. Then again, I'm aware that my natural curly hairstyle hasn't been in style since... um... hmmm.... 1930? *shrug* Just the way it is! One of my favorite books. Can't wait to see the movie!